Old Fashioned Rice Pudding |The Best Slow Cooker Rice Pudding Recipe! 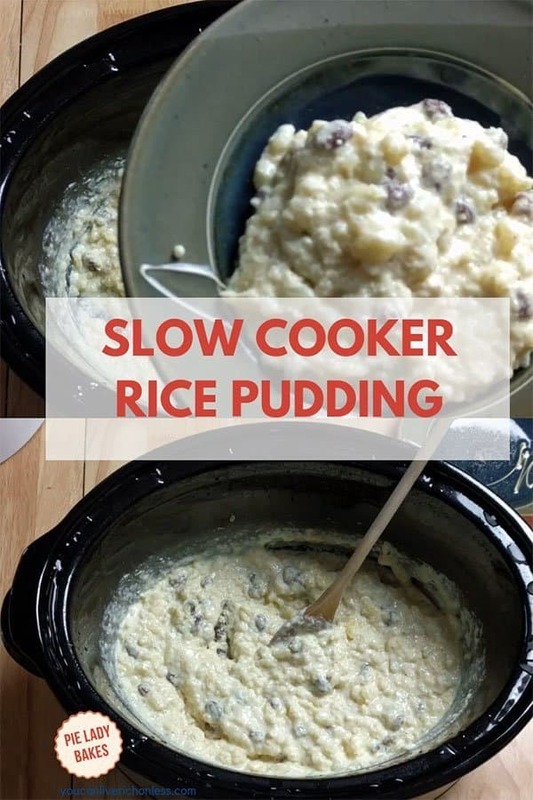 If you’ve got 5 minutes to prep, you won’t believe how easy this old fashioned slow cooker rice pudding recipe is to make! Then just relax, or get on with your day and let the slow cooker do the rest! Old Fashioned Rice Pudding Recipe. Just saying those words together makes me feel all warm and cozy and inside! You too? I love to make desserts in my slow cooker or crockpot. One of our other absolute faves (they are all favorites right?) is our S’mores Crock Pot Chocolate Lava Cake! It’s amazing. LOL. You will need….arborio rice, eggs, whole milk, cinnamon, vanilla, and raisins. I think slow cooker anything is the perfect way to cook on the weekends and I just love slow cooker desserts! Kind of a fix it and forget about it, if you know what I mean! And I do use my slow cooker a lot – as you know from some of my recipes! Grandma’s old fashioned rice pudding recipe was the best. 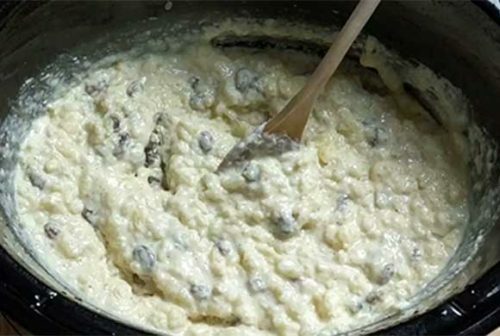 I’ve been searching through Grandma’s old recipes and when I found her recipe for a traditional rice pudding, I knew I had to try to make it. It was a baked rice pudding, which is how they made this cozy comfort food back in the day. So when my sweetie asked me to make him some rice pudding the other day, I kinda went Huh? It was like karma! He wanted an old fashioned rice pudding with raisins. 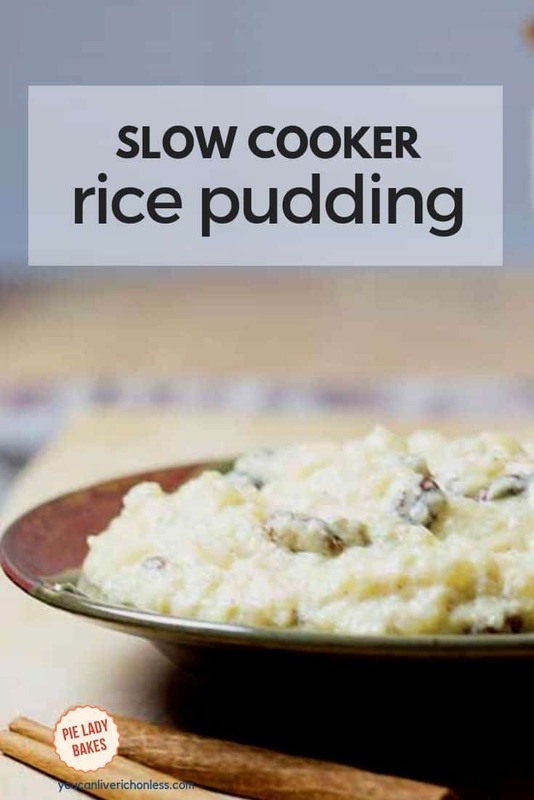 But of course I should have known that he had found an amazing recipe for me to try, and even better it was a homemade slow cooker rice pudding recipe! Enough said! So with all of the ingredients in hand, I set out to put together this awesome old fashioned rice pudding with raisins recipe. Now this recipe uses whole milk. You can swap that out for cream, half and half (half milk half cream) some recipes use coconut milk and sweetened condensed milk too. You can even make rice pudding with buttermilk! But we’re not getting fancy today. Just plain old fashioned rice pudding. OK? 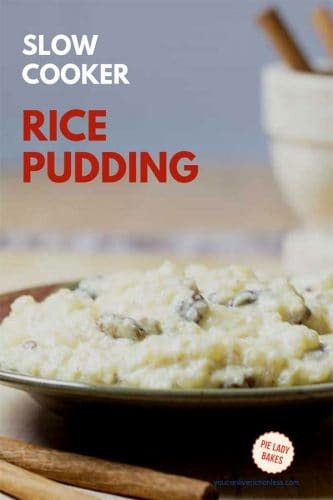 How Many Kinds of Rice Pudding Recipe are There? 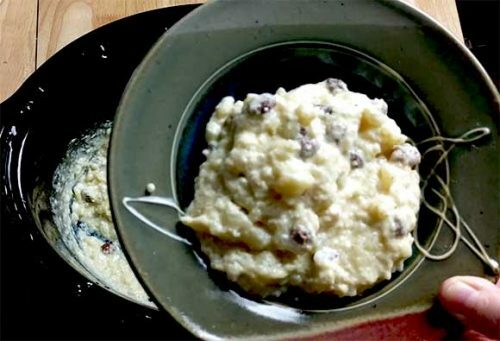 There are lots of old fashioned rice pudding recipes out there. Baked rice pudding recipe, Crock pot rice pudding recipe and all of them have that secret ingredient. What’s that you say? Homemade. Homemade anything is best and this homemade rice pudding recipe is the BEST. How do you make rice pudding from scratch? Just follow our video and instructions, step by step, it’s that easy. What kind of rice is best for rice pudding? 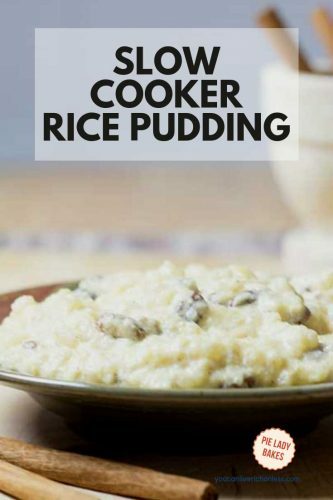 : You can use any kind of white rice, for old fashioned rice pudding. We love arborio rice and that’s why I’ve included it in this recipe. 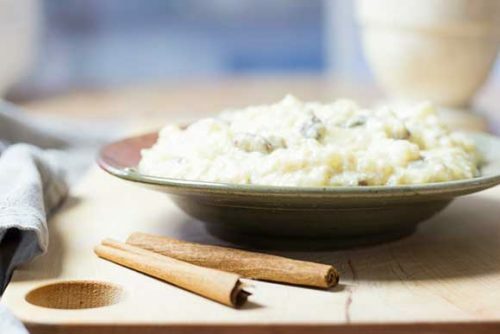 How do you make creamy rice pudding with leftover rice? You could use leftover rice, but the cooking times would need to change. I would make creamy rice pudding in the oven, mix all of the ingredients, and then bake it for 30 minutes. Old Fashioned Rice Pudding Recipe – Ready to eat! Pour the rice, milk and sugar into your slow cooker (spray with cooking spray) and cover and cook for 3.5 to 4 hours. Each hour give the rice a stir and cook until the rice is a bit mushy. Follow the recipe instructions exactly. When that’s done, whisk the eggs together with a ½ cup of the hot rice mixture. This is called tempering the eggs. Then slowly mix this back into the slow cooker rice mixture. You need to be careful here, since we don’t want scrambled eggs in our old fashioned rice pudding! Then you can add the raisins (or if you choose dried cranberries, cherries or blueberries! ), vanilla, cinnamon. Thanks so much for being a part of You Can Live Rich On Less/Pie Lady Bakes! I have this exact slow cooker by Crock Pot! The ceramic liner is so easy to clean, and rarely sticks, but I usually spray it anyway. Mine is grey, but don’t you love this awesome colour! 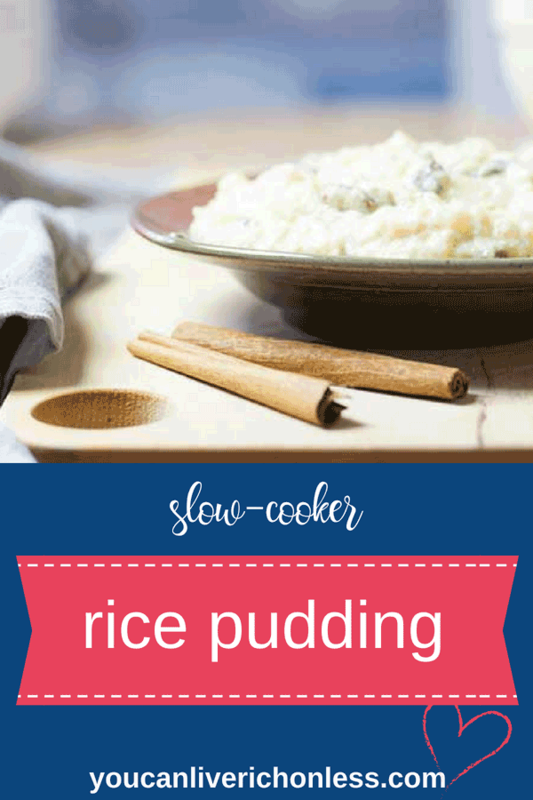 Looking for more slow cooker recipes like this old fashioned rice pudding? We’ve got everything from cheesecake to pulled pork, yes indeedy. Does anyone say ‘yes indeedy’ anymore? Oh well, just my country gal slang I guess. Here are some of my favorite slow-cooker recipes! Warm or cold, this old fashioned rice pudding is perfect on so many levels. Comfort food that calls us back to our childhoods, it’s creamy goodness fills empty tummies and warms hearts. You will be creating your own family memories when you put the ingredients together this weekend. What a perfect way to warm up after sledding outdoors, or coming home from a long walk to get those tracker steps in! 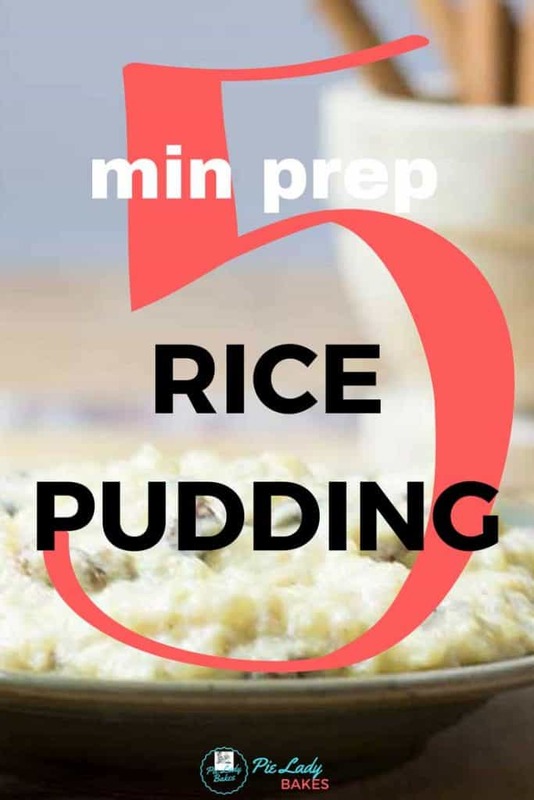 I also made a short video that I thought you might enjoy showing the process of how to make your own old fashioned rice pudding step by step. But it’s so easy to do, you get one of your kids to make it for family supper! If you like this recipe, please give it a 5 star rating. This old fashioned rice pudding recipe in the slow cooker is so creamy and easy to make, uses Arborio rice and raisins, and is THE Ultimate Comfort Food! Be sure to double the recipe though, coz it won’t last long! 3 Egg yolks large, Tip: freeze the whites for later! Pour the rice, milk and sugar into your slow cooker (spray with cooking spray) and cover and cook for 3.5 to 4 hours. Each hour give the rice a stir and cook until the rice is a bit mushy. And they say if you don’t ask you don’t get, so if you loved this post, please feel free to share it with your friends on Pinterest! Cause they love great recipes just like you do!